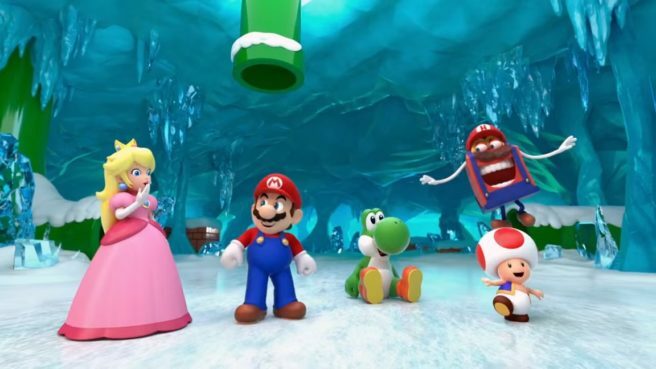 This summer, Super Mario toys will be returning to McDonald’s Happy Meals in the UK. It’s the fourth time that Mario will be featured at the restaurant chain. McDonald’s is planning three Happy Meal box designs based on Mario, Luigi, and Yoshi. They’ll also feature “puzzles and activities as well as perforated props which will help them transform into one of the gang”. As for the actual toys, ten different ones will be offered. – There will be three Happy Meal box designs, each of which will hero one of the iconic Super Mario characters – Mario, Luigi and Yoshi. The boxes will encourage kids to explore and protect the Mushroom Kingdom, featuring puzzles and activities as well as perforated props which will help them transform into one of the gang! The Mario promotion at McDonald’s will begin on June 13. It should last until July 24.